Zig-Zag is the No. 1 brand in the cigar wrap category. Zig-Zag utilizes a distinct flavor application system combining the finest Dominican, Nicaraguan and Honduran tobaccos to create a perfect blend of flavorful cigarillos that are unprecedented in the market place. Zig Zag Premium Blunt Wraps come in a foil pouch that is resealable for freshness. Each foil pouch contains 2 wraps, available in a variety of flavors. 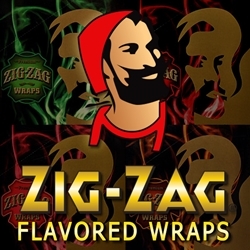 Look for your favorite flavor of Zig Zag Premium Blunt Wraps below and try them out today. Blunt lovers from around the world have fallen in love with this classic brand. Smokers Discounts believes you will love them too! We’ve made it easy and affordable to buy tobacco products online. Call us for more details!